Big Data as a service is a means of employing volume at a high capacity so as to process it rapidly and efficiently and to derive meaningful results from it. It is a combination of various other analytical services, which are massively upgraded and optimized in BDaaS. The term BDaaS is often unheard and many people are unaware of it. Big Data has emerged in time and made itself an important need of the fast-growing digital market. With the rise in organizational data and processing, the need to adjust processed information becomes a mandatory and nothing works best then a Big Data solution. With the need for optimizing and storing data, many digital firms have come forth with more robust Big Data solutions to solve hassles surrounding data storage, processing and delivery. Today, many organizations are making the most of such service providers and hence, the term evolved from Big Data being sold as a Service preferably known to the wider masses as Big Data-a-Service (BDaaS). 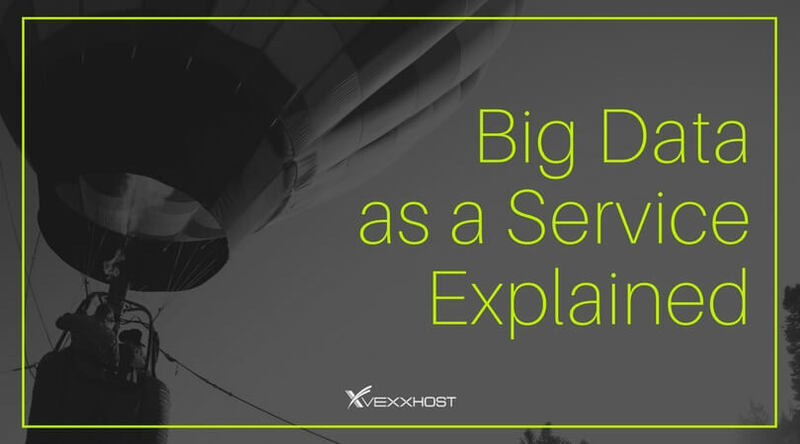 What is Big Data-as-a-Service (BDaaS)? We, as organizations, are producing a lot of information each day. We are accumulating it, storing it, processing it, developing it and sending it out into the world. The term Big Data is referred to the storing, processing and analysis of this large heap of information which we create each day. Almost any kind of service that involves the use of Big data in the cloud stratosphere is concerned as a part of the BDaaS. According to some, it is the supplement of analytical tools, preprocessing of real-time data/information and consultation or advisory related to adjusting the specifically large amount of information. How Do You Analyze BDaaS is Useful for Your Cloud Environment? The benefits of involving BDaaS solution to your specific cloud environment far outweigh the benefits of any other service on the market. From virtualizing your analytical functionalities to pre-processing large amount of information, everything becomes a part of the BDaaS. Today, with technologies like Hadoop, anyone is capable to learn Big Data analysis. However, what they fail to realize is that the software/hardware based environment which educates wide masses on how to use the service requires a large market capital. It involves a substantial upfront cost for components and infrastructure. Apart from that, storage and maintenance of Big Data environments require a lot of future costs which the organization should be well prepped to pay up in the coming days. But with a BDaaS such hassles are considerably minimized. They do not require large capital and neither do they require future maintenance costs for hardware and components. For you as a customer, everything is virtualized; all you have to do is pay a fixed monthly or annual payment. Costs incurred mostly surround compliance and data protection. It’s because data stored on their servers are solely their responsibilities and hence, they need to secure it. With modernization taking over virtually everything at a rapid pace, there is a need for a service that could store, process, and analyze big data. Businesses around the world continuously struggle with storing data that has intensely magnified over the decades, so much to the point that it has now become a challenge to process it and derive meaningful results from it. Big Data as a Service has emerged as a solution to all these problems. It comes equipped with statistical analytical tools that allow users to analyze complex data sets quickly and efficiently and draw useful conclusions from it. BDaaS is known for its utilitarian purposes, providing various kinds of data analytics amalgamated with hardware, software and customized storage. With BDaaS you can, for example, monitor a large SEO or a Web Content Campaign that reaches a huge audience. These services are offered over the internet with key vendor storage and functionality tools located in the cloud. Using BDaaS, users are saved the costs of installing in-house Big Data infrastructure. The service providers take care of that, so you can channel your resources elsewhere. This also allows small firms to benefit from the services of BDaaS, taking the burden of installing infrastructure off their shoulders. Moreover, users don’t need to pay for the services they don’t use, which is another upside to it. When compared with the significant cost reduction that goes into personnel training in terms of data processing, the cost effective solution provided by BDaaS is the clear choice. With BDaaS, it is now easier than ever to access any data from any of the enterprise’s divisions. It is also quite easy to manipulate data and implement changes, which creates room for significant data structure changes. BDaaS offers competitive advantage where scalability and data handling is concerned. As the ubiquitous volume of data collection increases, the need for bigger storage exponentially increases. Businesses need not worry about upscaling storage however, as BDaaS is there to do the job. The services providers charge for the additional storage that covers the cost of upgrading capacity and technology but this is still a more cost effective option than updating and adding to in-house hardware. Since all the data is controlled by a BDaaS provider, an additional layer of security is provided to it, making data processing more secure than ever. This, however, raises concern in terms of entrusting a third party controller with confidential data, which can be exposed to a great risk should any external party hack the provider. Like many other technologies and software, BDaaS has its cons. Companies need to make investments in expertise to be able to fruitfully utilize this service. For businesses that are equipped to make such investments in expertise and data security, use of BDaaS for data storage, processing and analysis remains a far more superior choice.